Chemists often encounter lab procedures where some chemical product can be lost. Often these are techniques that involve purification of a product. One common method that can result in losses is recrystallization, where a chemical is first dissolved in a hot solvent and then precipitated out again by cooling the solution, leaving impurities behind. 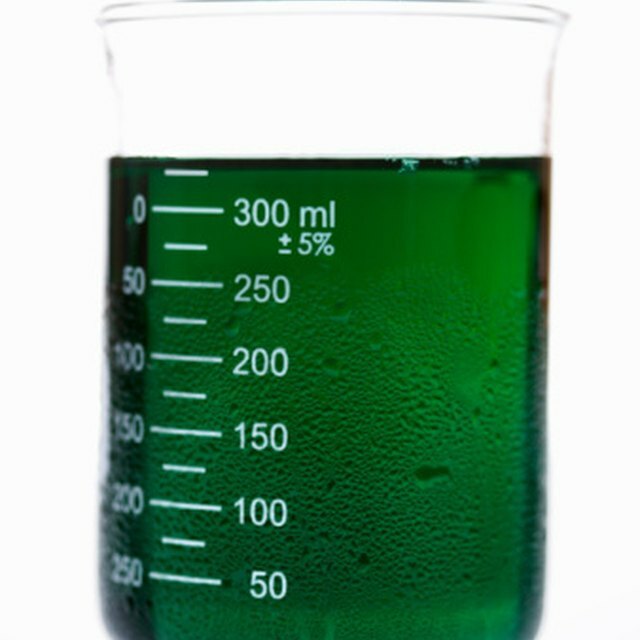 Often, some of the desired chemical remains in solution, resulting in a reduced recovery. You can calculate the percent recovery of such a procedure using the starting and ending weights of the chemical. Weigh the chemical product prior to the purification experiment. Ensure the chemical product resulting from your purification procedure is completely free of any residual solvent that might have been used. If necessary, you can allow the product to sit at room temperature for several days to allow solvent to evaporate or use gentle heating to speed up the process, assuming the product is stable on heating. Weigh the dry product and record the weight. Remember to remove any extra material, such as filter paper that might have been used to catch the product during purification; alternately, subtract the weight of that material. For example, you might have performed the purification by recrystallization of a chemical in a school lab and obtained a dry mass of 2.86 grams. Divide the dry mass of the purified product that you just determined by the mass of the chemical you started with prior to the purification process. Note that the mass of the starting material must be in the same units as the purified product. In the example, if you started with 5.00 grams of your chemical before the recrystallization procedure, you would calculate 2.86 divided by 5.00 to obtain 0.572. Multiply the result of your last calculation by 100. The result is your percent recovery of that chemical for the procedure. For the example, you would multiply 0.572 by 100 and report that you observed a recovery of 57.2 percent. A result of greater than 100 percent recovery means that something has gone wrong. Common reasons for this include a weighing error and failure to thoroughly dry the product. Judge, Michael. "How to Calculate the Percentage Recovery of a Product." Sciencing, https://sciencing.com/calculate-percentage-recovery-product-8741204.html. 30 April 2018.